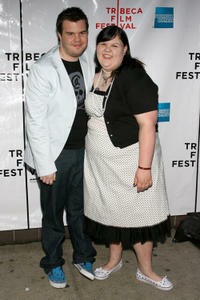 Director Ash Christian and Ashley Fink at the premiere of "Fat Girls" during the 5th Annual Tribeca Film Festival. Ashley Fink at the premiere of "Fat Girls" during the 5th Annual Tribeca Film Festival. 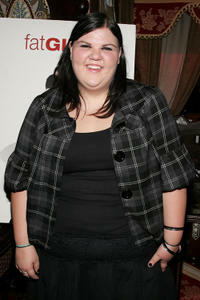 Ashley Fink at the New York premiere of "Fat Girls." Ashley Fink at the 21st Annual Elton John AIDS Foundation Academy Awards Viewing party in California. Chris Colfer and Ashley Fink at the 21st Annual Elton John AIDS Foundation Academy Awards Viewing party in California. 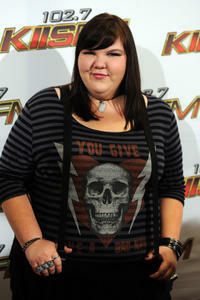 Ashley Fink at the California premiere of "Struck By Lightning." Ashley Fink at the KIIS FM's Wango Tango 2011 in California. Ashley Fink at the SAG Young Performers Indoor Carnival and Launch of Young Performers Website. Ashley Fink and Julia Voth at the ABC Family "Live Huge" bus campaign.